I jotted down the title. I was surprised when several more women mentioned this book during the festival. Many months later, I found the book at the Seattle Public Library and checked it out. 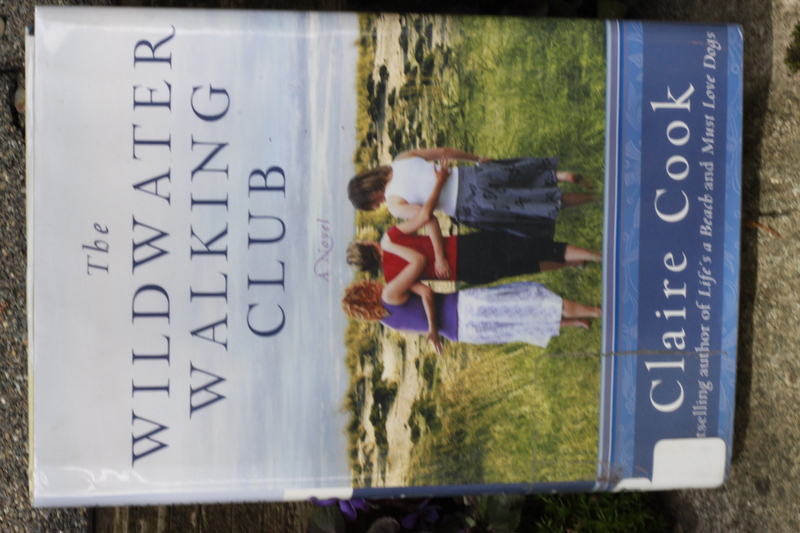 If you love lavender or enjoy an inspiring story, you will be charmed by Claire Cook’s story of three women who discover the joy of friendship, the power of walking and the wisdom of life. Noreen lives in a townhouse in Marshbury, Massachusetts. Focused on her career, Noreen doesn’t know her neighbors, hasn’t looked at her garden and ignored her own needs. Now with time to herself, she begins to pay attention to her wants and needs. Noreen begins a daily walking routine first alone, and soon with two neighbor friends. Day by day, she reclaims her life and personality. Rosie, the lavender-growing neighbor, plants lavender in Noreen’s garden. Tess gives Noreen a clothesline. The three women walk together and their friendship blossoms. They decide to pool their frequent flier points and travel to Sequim for the Lavender Festival. To learn about their adventure at Sequim, known as America’s Provence, you will need to read the book. I loved following these three women as they arrived in Seattle, drove to Sequim and experienced the lavender festival. However for me, the best part of this book is watching Noreen transform her life from a corporate wasteland to a world of friendship, adventure, lavender and love.